Opinion: Will Federalist Papers Shed Light on Judge Kavanaugh? Or Vice Versa? The Federalist Papers are a series of 85 essays arguing in support of the U.S. Constitution, and how the then-new government would function. At the time of publication, however, they were written under the pseudonym of “Publius,” an homage to Publius Valerius Publicola, who was instrumental in the founding of the Roman Empire. The identities of its authors were revealed later to be Alexander Hamilton (the main force behind the project; later the first treasury secretary), John Jay (the first chief justice of the United States), and James Madison (the fourth president; traditionally afforded the accolade “Father of the Constitution”). Arguably, the collection constitutes the most influential columns in American journalism. The Federalist Papers act as a kind of liner notes to America’s foundational principles. As the Library of Congress more precisely says, the essays are considered “one of the most important sources for interpreting and understanding the original intent of the Constitution.” Accordingly, they are particularly relevant to all federal jurists. Especially those texts specifically relating to the judiciary. On June 21, 1788, the Constitution became the official governing document of the United States of America when New Hampshire became the ninth of 13 states to ratify it. But even then the Constitution was evolving. Madison later introduced 19 amendments to the Constitution. Ten of them, known as The Bill of Rights — which list specific prohibitions on governmental power — were ratified in December 1791. The Federalist Papers leave a lasting legacy in development of modern western political thought. Notably, throughout American history, the Supreme Court has incorporated The Federalist (the original name of the essays) into many of its opinions. A fact Kavanaugh surely knows. Six essays (Federalist No. 78 to Federalist No. 83 deal directly with the judiciary. Each was written by Hamilton. And a number of them are germane to the American condition in 2018. They may shed light on Kavanaugh. And vice versa. Hamilton reasons that the executive branch “holds the sword of the community” whereas the legislature “commands the purse.” The judiciary, “on the contrary, has no influence over either the sword or the purse.” Hamilton also thought then that the judiciary “the weakest of the three departments of power.” It would be fascinating to learn if Kavanaugh concurs with Hamilton. In “Federalist 80” Hamilton reviews the particular powers of the federal judiciary. “It appears,” he writes, that these powers “are all conformable to the principles which ought to have governed the structure of that department, and which were necessary to the perfection of the system.” But Hamilton also understood that the system of checks and balances in the new government was not flawless. Far from it. Should, what he called “partial inconveniences” appear in the judiciary, the prescribed remedies “ought to be recollected that the national legislature will have ample authority to make such EXCEPTIONS, and to prescribe such regulations as will be calculated to obviate or remove these inconveniences.” But such remedies may need a remedy today. Considering today’s vast administrative state, where federal bureaucracies rule with few checks and balances, and Congress having delegated broad swaths of authority, Kavanaugh’s views on this issue would be timely and highly informative. Where does Kavanaugh stand on these and other matters relating to the role of the judiciary as articulated in The Federalist Papers? Law professor Eric Posner of the University of Chicago wrote recently that Kavanaugh has cited The Federalist Papers in his opinions “a few times.” But beyond that not much is known about his core judicial philosophy. Senators may consider those thoughts as they contemplate the coming hearings. 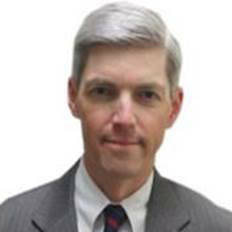 James P. Freeman is a former columnist with The New Boston Post and The Cape Cod Times. He wrote this for InsideSources.com. Senator Chuck Grassley, chair of the Senate Judiciary Committee, has pledged to hold open, fair and thorough hearings to consider the nomination of Judge Brett Kavanaugh to the Supreme Court. Unfortunately, opponents of Judge Kavanaugh have taken this good-faith approach as an opportunity to seek documents that have little connection to the judge’s qualifications. As a result, Grassley expects hearings to occur in September and a Senate vote in October. The primary reason for the delay is the Senate Democrats’ demands to see every piece of paper Kavanaugh has ever touched while a federal employee, something he has been for 25 out of the last 28 years. It’s a long paper trail. He has served as a federal judge on the D.C. Circuit Court of Appeals for the last 12 years. Before that, he served as a White House counsel and staff secretary to President George W. Bush. As the staff secretary, his job was to coordinate the flow of paper from government departments and agencies to the president’s desk. For the most part, he was not the author of these documents, he was the person making sure they were seen and acted upon by the president. But, his opponents are anxious to get them — all 1 million pages. Why look at documents that offer limited to no insights on Kavanaugh’s fitness to join the Supreme Court? Because his opponents are struggling to find a good reason to object to his fitness for the job. Look at his track record. He took undergraduate and law degrees from Yale. He clerked for prominent federal court judges, including retired Justice Anthony Kennedy. He spent time at the Solicitor General’s Office of the Department of Justice. He was an associate counsel for Ken Starr’s Whitewater Investigation. His opinions have influenced decisions by the Supreme Court and federal courts around the country. His law clerks have gone on to clerk for Supreme Court justices. There are no question marks around his qualifications and no holes in his background. Thus far, it appears there are two objections to Kavanaugh. First, he takes a textualist approach when applying the Constitution and statutes to the cases that come before him. Second, he bought baseball tickets with a credit card. The first objection is wrong-headed. Taking the text of the law seriously is exactly what a good judge does. A judge should never substitute his or her views for the law as it is written in the Constitution or the statutes. To do otherwise upsets the careful balance of power that is distributed among the three branches of government. As we learned in civics class, Congress (not the courts) makes the law, the executive executes the law, and the courts apply the law. The second objection of having a fondness for baseball is silliness on stilts. Kavanaugh’s appreciation for America’s pastime is further evidence of his fitness for the highest court. There’s an old saw among lawyers that goes like this: When the law is on your side, argue the law; when the facts are on your side, argue the facts; when neither is on your side, just argue. Kavanaugh’s opponents seem to be following the “just argue” approach, but there isn’t much logic to it. Kavanaugh is an outstanding judge who is held in high regard by his peers. He possesses impeccable credentials, and he has led a life of integrity in both the professional and personal spheres. Those are the factors senators should consider in deciding whether to vote for or against Kavanaugh. Justices Stephen Breyer, Ruth Bader Ginsburg, Elena Kagan and Sonia Sotomayor received between 63 and 96 votes in favor of their nominations. Kavanaugh deserves the same, strong bipartisan support. Tell your senators to get on with it. Matthew R.A. Heiman is a visiting fellow at the National Security Institute at George Mason University’s Antonin Scalia School of Law. He wrote this for InsideSources.com. Sen. John Cornyn, R-Texas, described it this way: “Well, you might call this the great paper chase.” The senator was not referencing the 1971 novel or the 1973 movie or the 1978-79 television series all named “The Paper Chase.” Instead, he was referring to the process of retrieving the massive paper trail left by Judge Brett Kavanaugh. However, recalcitrant Republicans counter that determined Democrats are behaving like paper wasps, gathering dead wood not to build a nest of objective information, but, rather, to build a rickety narrative about Kavanaugh in order to defeat his placement on the high court. Save for hope, Democrats — notwithstanding the coming public hearings — are using a bold new tactic to spur the vetting process in their favor. And it’s a long shot. They actually filed several FOIA requests. FOIA stands for “Freedom of Information Act” and became federal law in 1967. The act, reads foia.gov, “has provided the public the right to request access to records from any federal agency. It is often described as the law that keeps citizens in the know about their government.” There are more than 100 agencies subject to FOIA requests. Last year, according to the Office of Information Policy of the Department of Justice, government agencies received more than 820,000 requests. The Hill reports that Democrats submitted requests to the CIA, the National Archives, the Department of Justice and the Department of Homeland Security for documents “tied to Kavanaugh’s three-year period as staff secretary for President George W. Bush.” Democrat petitioners have also asked for an expedited response given the enormity of the paperwork sought. It is estimated that these documents could be in excess of 1 million pages, notes USA Today. By comparison, senators had far fewer records to review under two past justices to be confirmed to the high court (182,000 pages of documents on Neil Gorsuch and about 170,000 pages on Elena Kagan). More documents will be produced about Kavanaugh than any other nominee in history, said Senate Judiciary Committee Chairman Chuck Grassley of Iowa. Judiciary member Sen. Richard Blumenthal, D-Connecticut, openly called the FOIA requests an “extraordinary step,” “unprecedented,” and a “last resort.” The senator also believes that this action has never been done with regard to a Supreme Court nominee. Blumenthal told MSNBC’s Rachel Maddow that Senate Republicans are “hiding” and “concealing” Kavanaugh documents. But as Gabby Morrongiello wrote in The Washington Examiner, “Normally, records from Kavanaugh’s time in the White House would be protected by the Presidential Records Act, which allows former presidents to keep their White House files secret for up to 12 years after leaving office.” President Bush left office in January 2009. The National Archives is indeed screening nearly 1 million of these pages to ensure none of the material is subject to executive privilege under the act. “It says,” reports npr.com, that the review “will not be completed until the end of October.” As a consequence, Senate Republicans have moved to obtain documents directly from Bush’s legal team in order to expedite the process. Republicans, meanwhile, argue that all this Democratic bluster is merely political stagecraft. They recall that during Kavanaugh’s 2006 nomination as a judge to the U.S. Circuit Court of Appeals, Democrats then never demanded such a ferocious examination of his paperwork related to his White House work. Last week, Grassley released nearly 5,800 pages of documents from Kavanaugh’s tenure as associate White House counsel to Bush. Already, the Judiciary Committee has received more than 125,000 pages of these documents. And the committee is expected to release substantially more documents in the coming weeks. Finally, Republicans say — professing mock horror — that Democrats are also acting disingenuously. They contend that Senate Democrats announced their opposition to Kavanaugh immediately after his nomination, without regard for the need for extensive review of documentation before such opposition. After the final vote on the judge by the full Senate, it would be understandable if Kavanaugh acted as the character Hart did at the end of “The Paper Chase” novel: Where the finally tally of grading was pitched off in a form of a paper airplane — a metaphor, perhaps, of a scoring and vetting system that should be thrown out. The judge will have many papers from which to build his aircraft.